Eduardo Galeano, Uruguayan writer, once pleaded for ‘a pretty move for the love of God’ when watching his beloved soccer. 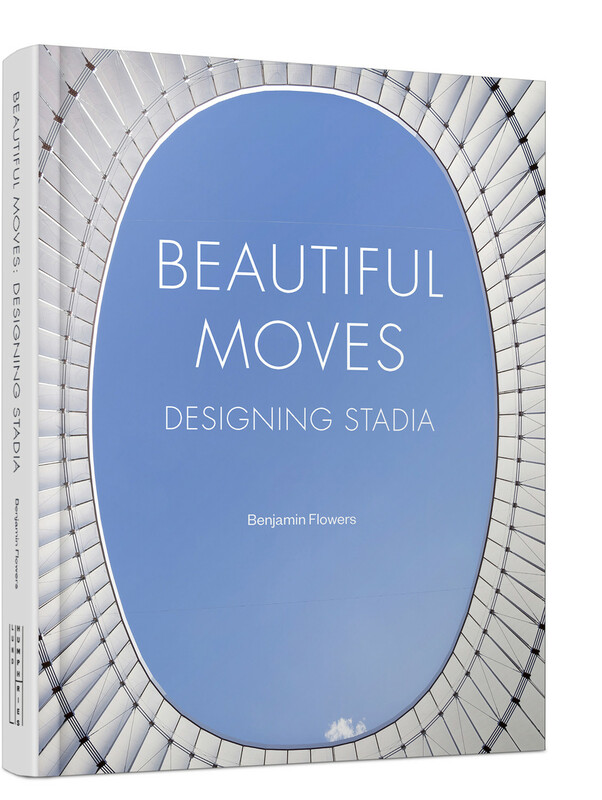 This book is likewise interested in ‘beautiful moves’, but turns instead to the architecture of the stadium as an architectural type as captivating as the play occurring on the pitch. In the past 30 years a number of stadium projects have been completed that highlight how this building type has become a site for architectural innovation and complexity. 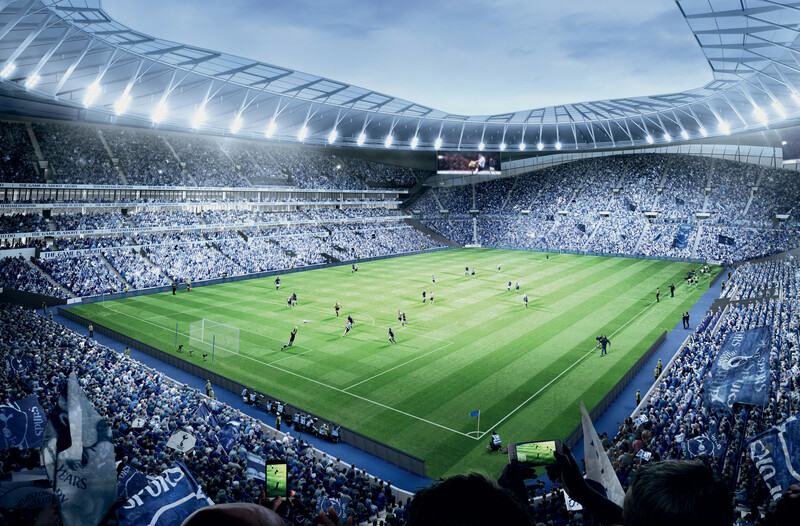 Clients increasingly turned to A-list architects and prize-winning firms to design new stadia. 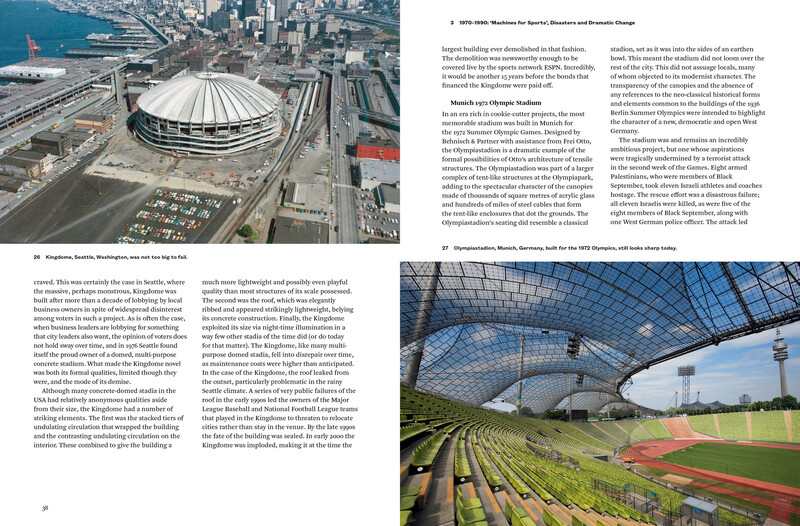 As a result, in cities around the world stadia are often the most expensive and monumental of projects, and may be icons of identity and defining presences in the built landscape. 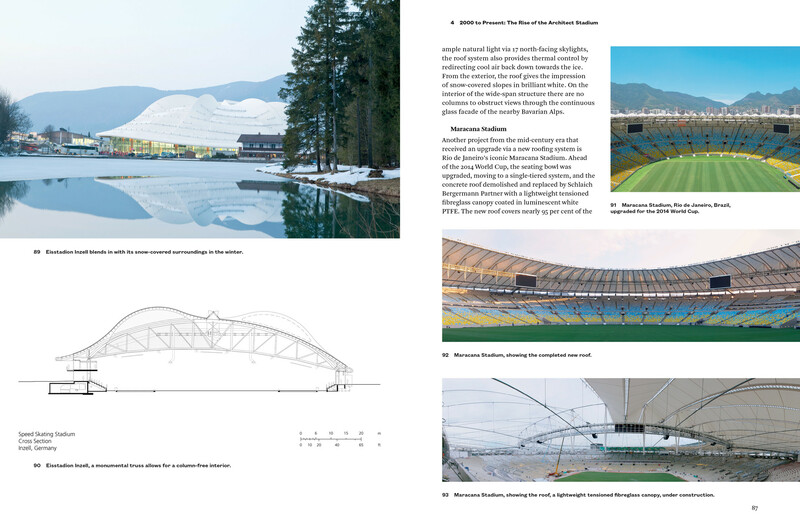 By examining a range of exemplary stadia from around the world (built, unbuilt and demolished projects), this book presents for the first time a canon for this building type. Organised chronologically, it includes famous examples from the likes of Lina Bo Bardi, Frei Otto, Eduardo Souto de Moura, Herzog & de Meuron, Foster + Partners and Studio Gang.